It's the Poppies Results for 2009! I already gave you my picks for Best (and Worst - sort of my own personal Poopies) for 2009, but I'm just one man - who really cares what I think? Then I gave you the results of the People's Picks, where a plethora of collectors and fans from all aspects of the market voted for their favorites of 2009. And now it's time for the Poppies, and the invariable discussion and comparison of all the results. 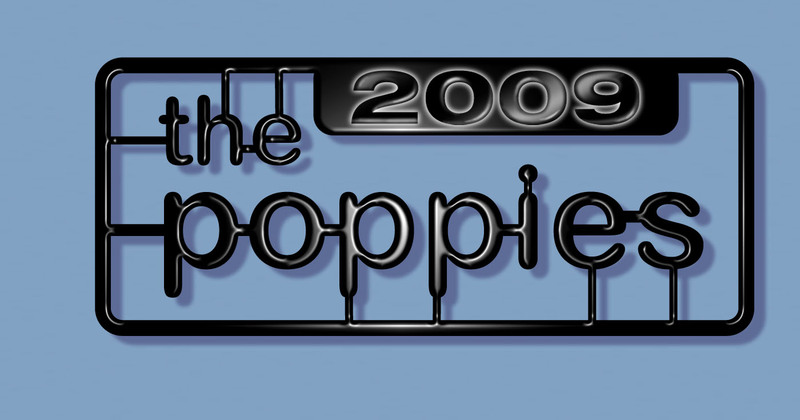 This is the third year of the Poppies, the only industry pop culture collectible awards. This year, 138 Judges from all aspects of the industry - companies, collectors, media, artists, and retailers - came together to first nominate and then vote on their favorites in 15 different categories. This is the round up of those results, with some comments from the judges, and my own personal commentary and comparison. If you have any comments or questions, feel free to drop me a line. While I've only included a photo of each of the category winners here, I also added in links for the top three in each category (after Best Company) so you can see what they look like, in case you haven't seen them or don't remember. Now let's get to those Poppies results! One of the unique features of the Poppies is that you are more likely to see ties. With the People's Picks, you're dealing with a much, much larger voter pool, making ties unlikely, but when you get down under 150 voters, getting two (or even more) nominees with the same number of votes is much more likely. And just to prove it, we get such a case in the very first category. Not with third place though. Hasbro has that spot with 10% of the vote, and with another very strong year in Star Wars and a pretty decent showing with Marvel, it's no real surprise to see them here. Our tie occurs with second place, where two companies took 11% of the vote, barely edging past Hasbro. That would be Sideshow and Mattel, two companies that couldn't be more different. Everyone knows why Sideshow is here, but Mattel makes it on the strength of what they are trying to do with lines like DCUC and MOTUC. While collectors tend to mock them for their blunders, I think people inside the industry realize how tough change comes to an organization of this size, and are still impressed with what they've seen so far. Who won? Ah, that's a no brainer - Hot Toys. Bear in mind that the many of the people voting here work for a company other than Hot Toys. In fact, there was only one judge directly tied to Hot Toys. Even if they are media types, they often cover lines far outside the realm of high end sixth scale products. And yet 40% of the Poppies voters gave the nod to Hot Toys, making it pretty clear that they're on top of the industry right now. "Hot Toys. Each year this small Hong Kong company shows us what it means to improve upon an idea. 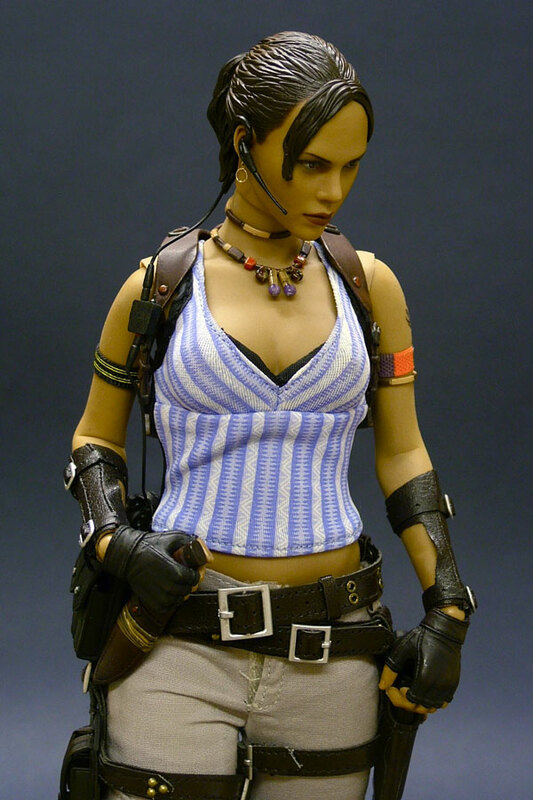 When they started ten years ago, their figures were cool because of the subject matter. Now they are cool because these are the figures we've only dared to dream of having. The realistic paint, texturing, and costumes are second to none, and all companies that produce 1/6 scale figures have been chasing after Hot Toys for the last few years. To our advantage, Hot Toys has inspired companies, such as Sideshow to produce much better products, much to our advantage. At the same time, other companies have taken a few of the ideas developed form Hot Toys without looking at the big picture. Case in point is the Deluxe Collectors Series from DC Direct. The latest figures they have released have utilized Hot Toys' Moulded semi-translucent skin concept without looking at the other things that go with it, such as proper paint applications, a well designed figure buck, and well-executed soft goods using better fabric options. Painting a car green doesn't make it a hybrid. If you've read the People's Picks and my picks for this category, I'd assume you'd assume that Hot Toys would smoke it with the Poppies too. Close, but not quite. 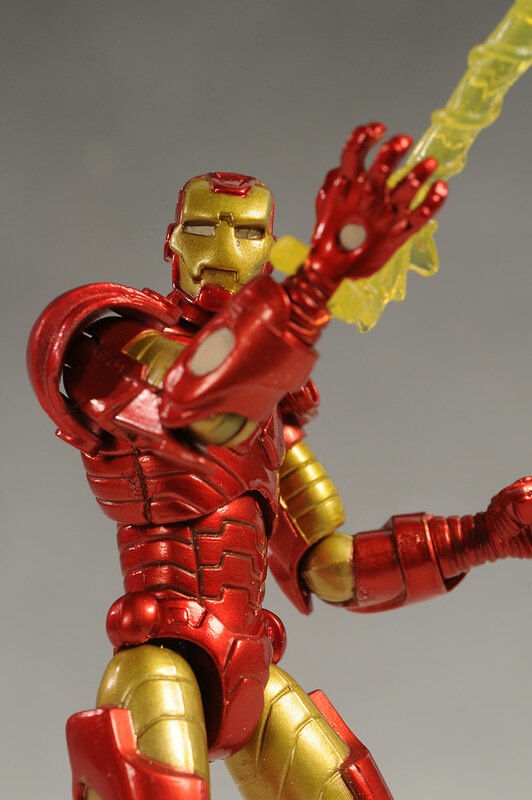 It's the third place spot that was wrenched away from Hot Toys, and by none other than Sideshow. In fact, there's a two way tie for third place, each with just 5% of the vote, and both from Sideshow. G.I. Joe and Star Wars are both strong lines for them with rabid followers. But Hot Toys did end up dominating with the top two spots. 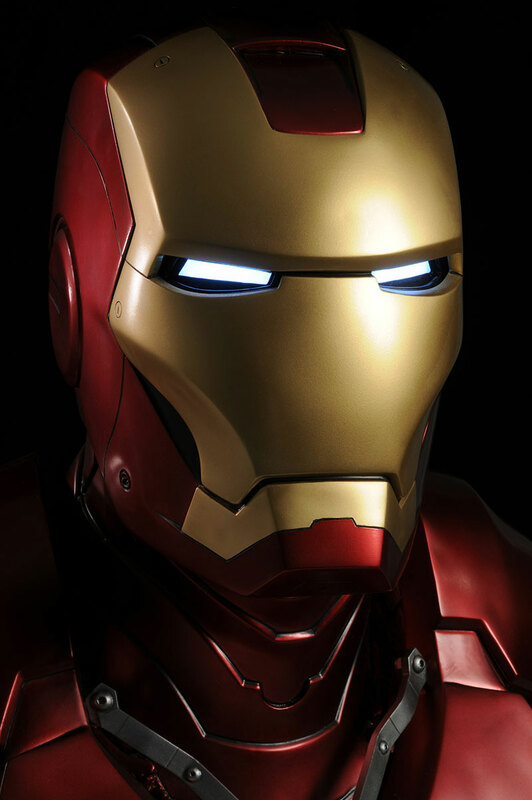 Iron Man took second with a whopping 36%, barely being edged out by Dark Knight with 37%. When you get 75% of the vote, odds are you're making people happy. "SSC's G.I. Joe line is the physical representation of how cool we thought our Joes were when we were little. Sure, they aren't exactly following the designs of the original Hasbro line, but they seem to have captured Larry Hama's characters to perfection. Hopefully going into 2010 we'll see less alternate coloured figures though, as many collectors have complained about figures like the Crimson Cobra Commander and Fumbles the Sniper. Sideshow (and other companies) should always remember that the multi-coloured Batman rule only applies to Batman, and stir clear of the practice. Let's not forget how awesome Palisades' Muppet collection was, and how the variations and repaints sucked all the passion out of the collectors working on completing the line. On the low end, the Poppies judges ended up mirroring my choices, giving the bronze to Thinkway's Toy Story Collection with 7% of the vote, silver to Masters of the Universe Classics with 22% of the vote, and gold to DC Universe Classics with 24% of the vote. This matches up nicely with the second place tie for Mattel in best overall company. I'd also like to point out a trend - while there are variations in the second and third place winners, the People's Picks and the Poppies voters have agreed on all the 1st place winners so far. Can that trend continue? The industry folks gave the UQS series from DST a bit more love in their top three than either I or the People's. They put the UQS Obi-Wan Kenobi in third, with 14% of the vote. That's not a bad showing, and slipped past Jason pretty handily. They also gave second place to the UQS Hoth Han Solo, my favorite for this year. Both of these have costumes that render the body issues a bit more moot. But once again, people and poppies judges agreed on first place - it's the Mezco Abe Sapien! When it came to my votes and the people's votes, Hot Toys swept this category. It shouldn't be any real surprise, since they had not one but several fantastic series of sixth scale figures this year. But when the Industry Judge's cast their ballots, they deviated slightly. They gave the third place bronze medal to a relative newcomer, Go Hero, and their cool Buck Rogers figure. The retro license isn't to everyone's taste, but 12% of the industry folks gave it the nod. The next two places were no surprise though - Hot Toys Iron Man MKI took silver, and the Dark Knight DX-01 Joker took gold. I have a funny feeling that 2009 was the last year for the Dark Knight figures to hold sway in any of these categories, and we'll see Terminator and Iron Man take over in 2010, with a very strong chance for some dark horse figure to leap to the forefront. If you read my discussion in the People's Picks, you'll know that I felt this category was diluted by having too many figures from the same series. Both DCUC and MOTUC had four figures to choose from, making it tough for any one of them to get all the MOTUC or DCUC love. If it wasn't obvious enough with the People's Picks, then it should be quite clear here - Green Arrow, Hawkman, Hordak and Skeletor all got 7% of the vote, putting them in a tie for third place. Then Gentleman Ghost, Joker, Scareglow and Skeletor all got 9% of the vote, putting them in a four way tie for second. As I mentioned earlier, next year I'll be looking to the judges to pick the one MOTUC and one DCUC figure they can agree is the very best of the bunch to avoid fracturing the vote this much. All that aside, the first place winner is still an outstanding figure, with some truly amazing detail work. 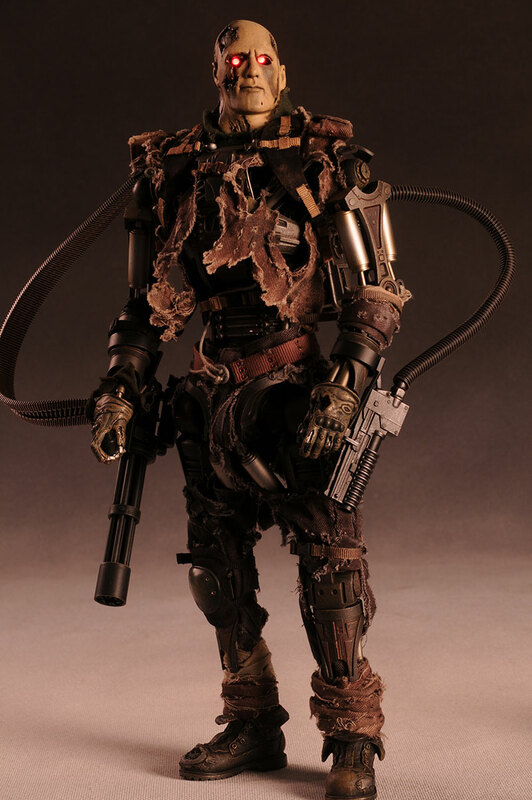 Just like the people, the industry folks picked Big Daddy from NECA as the winner in this category. And yes, that means the streak continues of both sets of votes selecting the same number one in every category so far! As you'd expect, Hasbro does well again here, but they aren't the only winner this time. Mezco took third place with their excellent Jason figure. I really do have to get out there and round up the rest of that first release, and if you haven't, I suggest you do. Hasbro locked up second with another of the G.I. Joe figures, but not the one I picked - Snake Eyes. I think the entire Joe series was actually pretty damn good, and Hasbro hasn't gotten enough credit for producing better toys for this film than we've seen from most other movies in recent years. But the first place winner was a surprise to me...again. They picked the Marvel Universe Iron Man, also from Hasbro. I loved the little guy when he first hit, but I remember getting a lot of flack for it. It's clear that with time his excellence has won others over as well. When I did my picks, small scale figures dominated. But the Poppies judges split things pretty evenly between large and small with their picks. In third place is the Hot Toys Silken Floss, with 9% of the vote. As much as you might hate the movie, you have to admit that Hot Toys did a great job capturing the uber beautiful Scarlett Johansson, so much so that I already know their version of her as Black Widow will be an absolute must have. Two smaller scale figures tied for second place, each with 12% of the vote. NECA's Coraline and Mattel's Teela both took silver, and both are certainly more than deserving. But once again the Poppies judges agreed with the People's Pick voters - they place Hot Toys Sheva in the top spot, with 15% of the vote. Clearly there's more Resident Evil fans out there than I realized! With eight categories down and just six to go, we still have our streak of perfect first place agreement going - can it continue? Third place bronze went to Hasbro for one of their Star Wars BAFs - the Dark Trooper. I never paid that much attention to this guy, but clearly I need to go back and take a second look, since 17% of the judges voted for him. We had another tie for second, this time between two Mattel CnC figures - Giganta and Chemo. Both received 18% of the vote, and both were very high on my personal list of bests this year. Mattel certainly knows what it's doing with the CnC concept. If you need further proof, just look at the first place winner, who took the slot with a commanding 32% of the vote - Kilowog. He wasn't the most complex BAF of the year, but the character is a fan favorite, and they executed him just about perfectly. When you have one judge, you don't get any ties, unless he or she has trouble keeping their multiple personalities in check. When you have a huge number of judges, you don't get many either. But when you have just under 150, it gets a lot more likely. Once again, we have a three way tie for third place, each garnering 9% of the judge's votes. Hasbro's AT-ST, DST's Back to the Future Delorean, and Habro's Optimus Prime Leader Class (some more TF love!) all took the bronze. 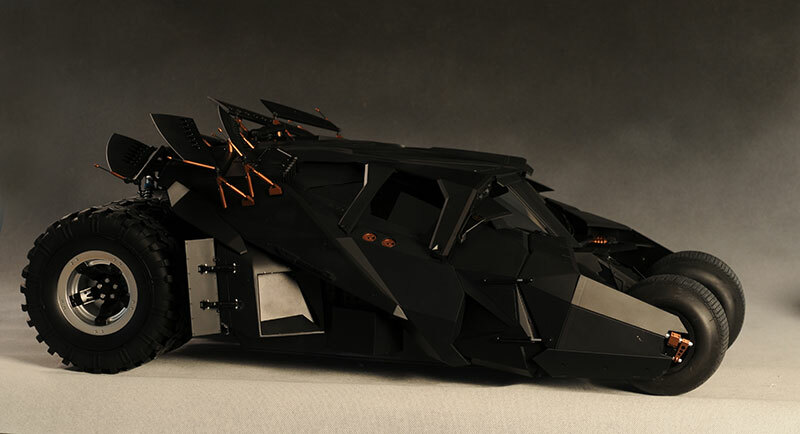 Second place was all to the Hot Toys Bat Pod though, with 13% of the vote. Yep, there's still some love for this vehicle, even a year after it's initial release. But the impressive size of the Bat Pod, the coolness of the light up features of the Delorean, and the sheer fun play value of the AT-ST and Prime weren't enough to over come the total wow factor of the landslide winner, the Tumbler. Hot Toys took a whopping 47% of the vote with this vehicle, and agreed not just with the People's Picks voters but with yours truly. The did agree, or at least 8% agreed, that the Hellboy II PF should win. That was enough to snag a third place medal for him. Another 15% agreed with me, voting for the Berserker Uruk-Hai PF. I love this bad boy, and I'm quite surprised he didn't win. An odd thing happened with first - we had a tie! While there were plenty of other ties for second and third place, the other 13 categories all had very clear winners, most of the time with quite a few more votes than any of the trailing nominees. But 16% of the Poppies Judges agreed with the People's Picks voters and gave Catwoman a first place win, while another 16% went off in their own direction entirely, picking a statue that wasn't on any other winner's podium - the Rocketeer from Electric Tiki. Since one of the two in the tie matches with the People's Picks choice, I'm going to say that the streak is still alive! Here's a category where the winner has changed drastically from 2008 to 2009. Back then, Hot Toys dominated with their Dark Knight work, but this year they aren't in the top three. Third place goes to DC Direct's Phantom Lady. 9% of the judges felt she had the best bust. Uh, was the best bust. Yea, that's what I meant. Second place goes to another of the SDCC exclusives, Dumbledore from Harry Potter. Gentle Giant has done some really beautiful work on their Harry Potter series, and given us now both versions of Dumbledore. The first place winner was another landslide, with 32% of the vote. Sideshow's 1:1 scale Iron Man took the honors, and I have to say that I'm quite happy to have one on my shelf. Medicom gets another nod in this category, but not for the same VCD that the people chose. The Poppies Judges gave Tron Mickey 12% of the vote, enough to take bronze. The second place winner is another great figure - Bramble, from 3A. There were actually a couple great releases in the World War Robot series this year, and if you're an Ashley Wood fan, you should check these out. And yes, I know that Bramble started to hit in very late 2008, but most folks didn't get to see him til early 2009, making it tough for him to be on the 2008 ballot, much like the Bat Pod. But the Poppies Judges did not go the cosbaby route for first place, breaking the streak. They chose the very cool Staypuft Marshmallow Man from DST. Yea, it's a bank, but I don't think anyone cares. I buy a lot of SDCC exclusives every year, but I didn't make this one a priority and I didn't get over to the DST booth in time to snag the angry version. I regret it every single day of my life. Or at least every other day. With more and more homes including media rooms and home theaters, decorating with prop replicas is becoming common. Last year we saw some pretty cool releases, and 2010 looks to be bringing us some even better stuff. The third place winner took 11% of the vote, but I'm still not sure if it's really a 'prop replica'. It's the scaled version of the X-wing Fighter from eFX. It's definitely a replica, but I always think 1:1 when I think prop replica. Still, the judges felt it was the best category for it to be included, and clearly it was well loved. The second place winner is a combo prop replica/bust sort of thing - the Green Lantern Rings from DST. Combining the cool ring with the bust of the character was a very smart move on DST's part. And the top winner? Well, we're back on that streak, as 21% of the Poppies Judges picked the life size C-3PO as their best prop replica for 2009. We're down to the last of our 14 categories, that catch all division known as 'best misc'. There's always some oddballs in this one. The third place winner, with 17% of the vote, is definitely an odd ball. It's the Ravager transforming USB. This thing is really cool, and a Hell of a lot better than that creepy USB the guy created as a fake finger...gross. I'm betting you'll get more women showing them your transforming USB than pulling off one of your digits and plugging it into your laptop. In fact, if the latter trips her trigger, she might be someone to avoid getting nekkid with. The second place silver winner was my first place choice - the Toy Story Collection Buzz Lightyear. Leave it to Thinkway to take a great product (their original Buzz) and make it even better. And just to round out the *almost* perfect match between the People's Picks and the Poppies this year, Han in Carbonite from Sideshow Collectibles pulled down 21% of the vote and took the gold! With 13 of the 14 first place winners in both the People's Picks and the Poppies coming out the same, I'd have to say that the results are pretty conclusive. The winners really are the best out there by popular opinion, whether you work at a company that competes with them, or you're a sculptor creating the products, or whether your a consumer coughing up your very hard earned money to buy them. As I mentioned earlier, don't be surprised if you see some rule changes next year, and of course we'll review the potential need to break up a couple more of the categories. If you think you'd make a great Poppies judge, please drop me a line as well - I start putting together the judge list in March!